Hey girls! It's been quite a while since I posted, actually was busy in work, Finally here with the review of new product as i promised. 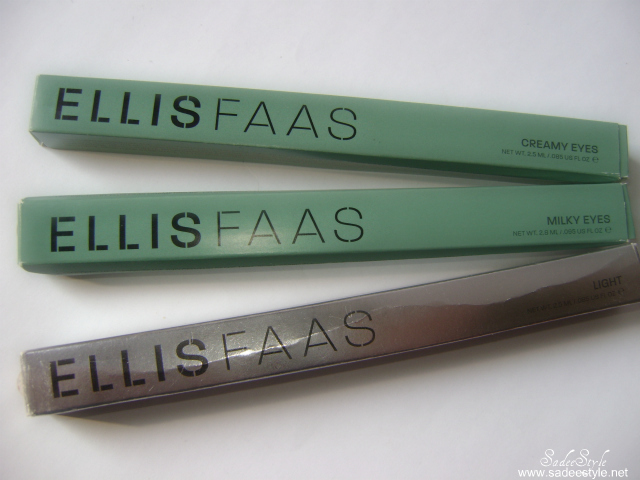 So today's hunt is Ellis Faas is a revolutionary change in the field of cosmetics and fashion world, i discovered ellis faas few days back while surfing on different blogs and was really impressed to see how they made easy to wear makeup with these unique applicators. it's the same as YSL does, i love the concept they captured all product eyeshadow, lipsticks and concealers in a pen shape applicators so you can have a desired look without any mess also it will help while traveling you can keep it in your handbag and even in hand clutch. 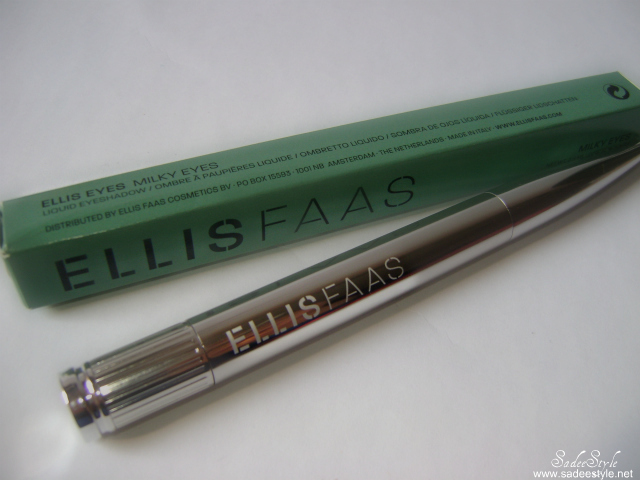 Start with the introduction of the brand behind the product, Hailed as one of the most influential makeup artists of her time, Ellis Faas channeled her creative talents as a top artist to create her own line of cosmetics. Featuring long-wearing textures, shades suitable for any skin tone, and award-winning packaging known for its ease and portability, her eponymous collection was destined to be a classic—as soon as it launched. The ELLIS FAAS brand concept is inspired by the human body's own colors—from the tawny peach of a freckle to the most vivid red of a vein. Intrigued? 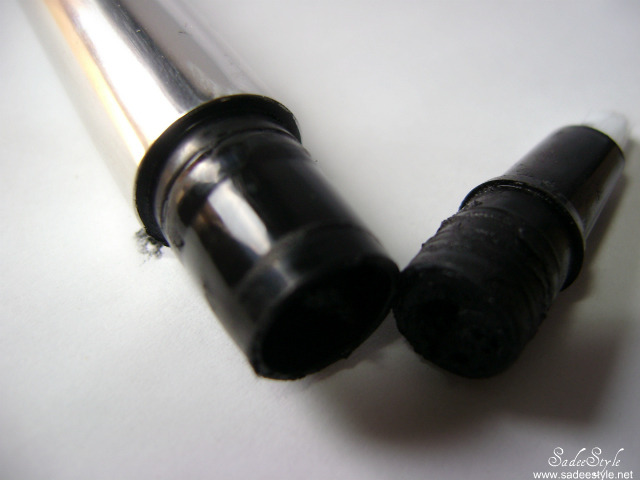 Just take off the cap, turn the base of the pen, and discover the world of ELLIS FAAS. Ellis Faas based the whole collection of her brand on the colours that by nature exist in every human body. From all tones of foundation to every lipstick and eyeshadow, the shades are inspired by the human body’s owns colors. 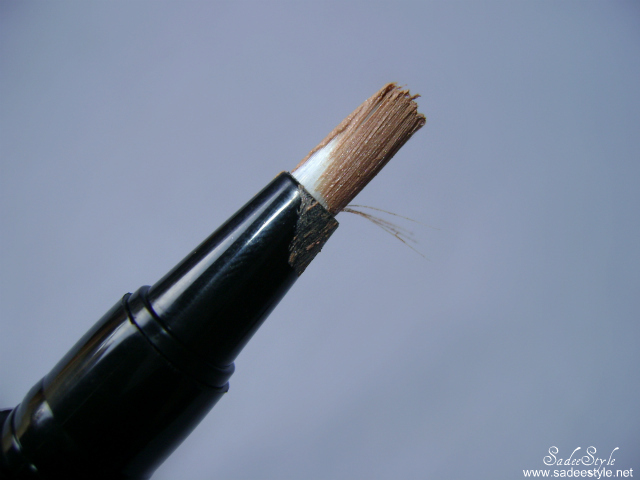 A versatile liquid eye shadow that can be used as a stain or subtle wash of color. This eye color, with its convenient brush-tip applicator, has a more translucent texture than Creamy Eyes, and a deeper, more vivid hue. 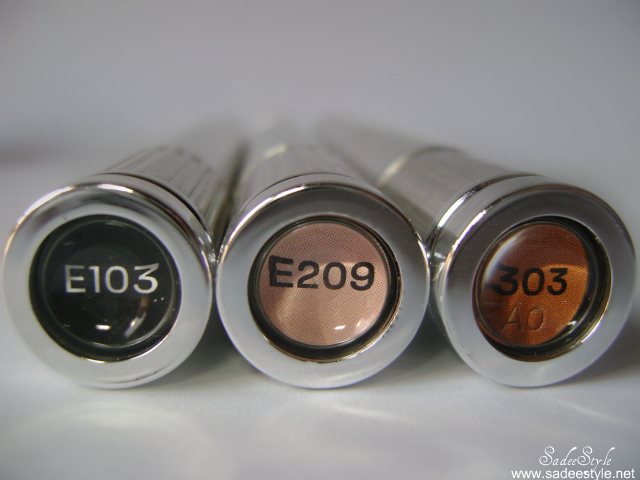 Milky Eyes E209 is a very light orange color with its liquid consistency, these innovative and long lasting eye shadows transform into a matte powder and leaves a smooth finish and will not build up in eyelid creases, but color itself is very light to use as an eye shadow it sometime looks like that you have put a concealer on your eyelid but i like the consistency which is very soft and dry very fast and also easy to remove but color disappointed me badly. 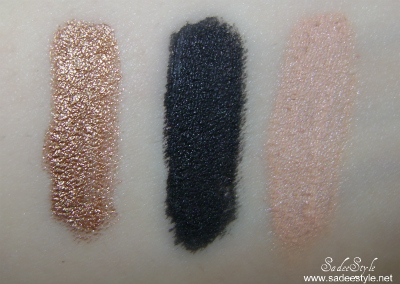 A liquid eye shadow that can be used for shaping and contouring the eyes. 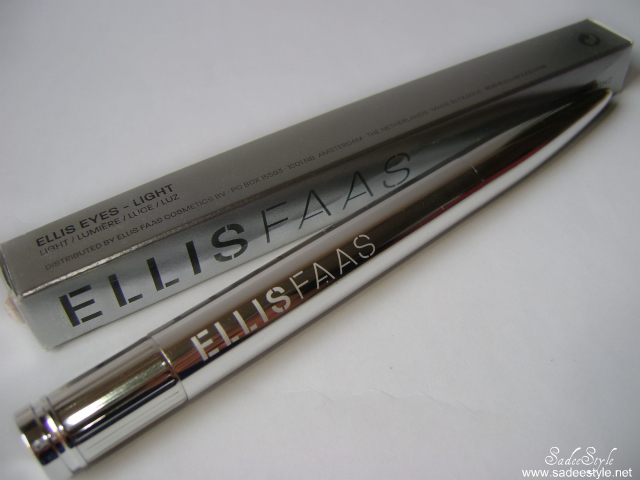 Ellis has tested hundreds of eye shadows over the course of her career, and the moment she tried the formula of what has become ELLIS FAAS Creamy Eyes, she fell in love with its velvety texture. With its quick-drying properties and special blend of flower and coffee extracts, Creamy Eyes provides coverage without heaviness. 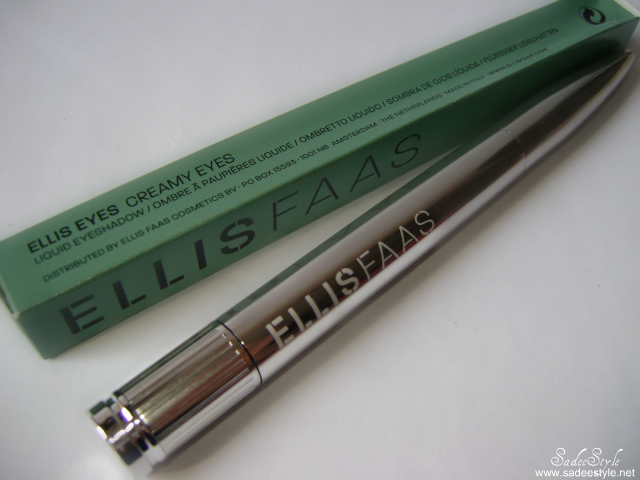 Use Creamy Eyes like a thick pencil around the eye or in the eyelid crease, or cover the entire eyelid using the built-in ELLIS FAAS Creamy Eyes brush, then fade the edges with the fingertips. For extra drama, experiment with layering multiple colors of Creamy Eyes. Unfortunately this one got broke while tuning up and was a big disappointment too but still i will use it with an extra brush Creamy Eyes E103 is actually a very dark black shade texture is very creamy and soft and go smoothly on the skin, it dry so fast but not very easy to remove i used my makeup remover twice to remove the stain with its liquid consistency, these innovative and long lasting eye shadows transform into a matte powder upon application with the ELLIS FAAS signature pen leaves a smooth finish and will not build up in eyelid creases, making it suitable for all skin types. Liquid to powder eye shadow is also ideal for women who are sensitive to traditional powdered eye shadow, including contact lens wearers. More than just a highlighter, this liquid color dries upon application and gives the illusion of having a small metallic sheet on the eyelid. Because the particles in the product are so fine, it will appear from a distance that the shiny texture is oily or wet, even though it dries to a perfectly smooth finish. 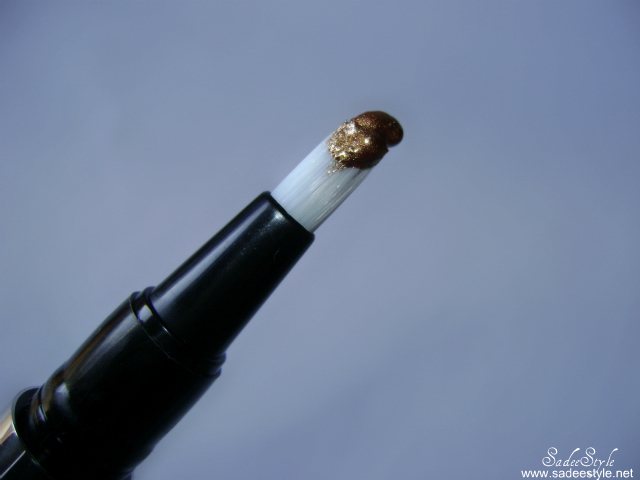 You won't feel any stickiness on the eyelids, and the expert formula won't crease. This one is the most gorgeous and pigmented color of ellis faas range go smoothly on skin and dry very fast so you have very less time to fix it also staying power is very long you can remove it with a normal water without leaving any stain i love light range of ellis faas worked for me color is intense product is very gorgeous and simply stunning. Wow I've never seen an application like that before ! 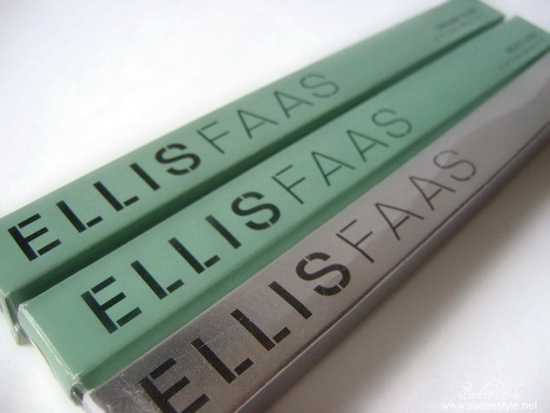 I'm such a big fan of Ellis Faas! Wow these colors are so pigmented! LOVE IT! Thanks for the thorough review. while reading it I realized how very little I know about makeup! I need to figure stuff out!